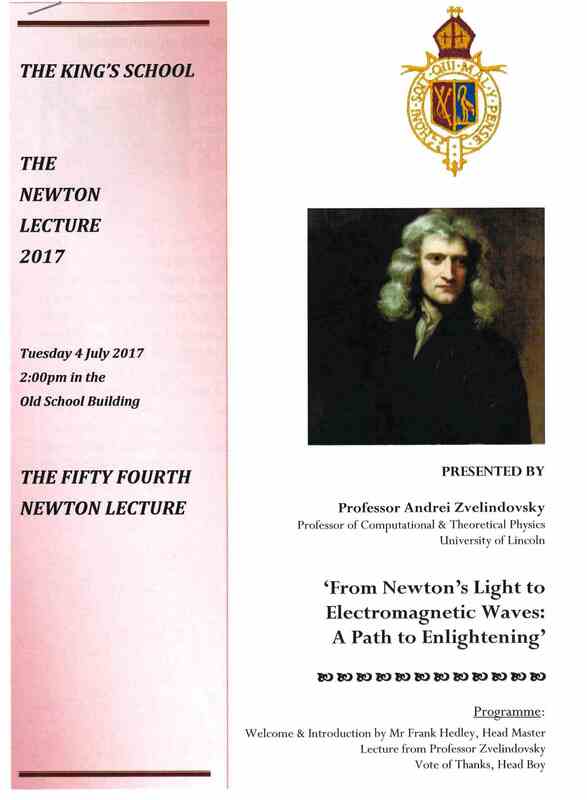 On Tuesday 4th of July 2017 Professor Andrei Zvelindovsky, the founding head of the School of Mathematics and Physics at the University of Lincoln, gave a lecture ‘From Newton’s Light to Electromagnetic Waves: A Path to Enlightening’ at the King’s School in Grantham. The school was founded in 1528 and attended by Isaac Newton. The lecture was 54th Newton lecture with the first one being in 1960. Andrei’s talk described ideas of light, from Newton’s concept of colour to the modern description of electromagnetic waves and their multiple applications. 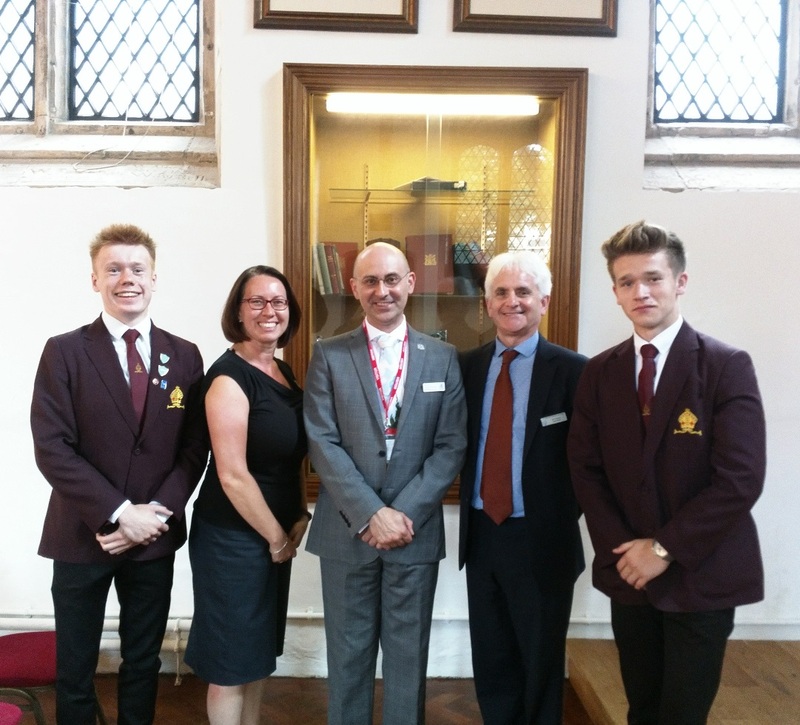 The lecture was attended by the students, staff and members of the Board of Governors and was followed by the Vote of Thanks from the Head Boy during which Andrei was presented with an “Newton apple”.